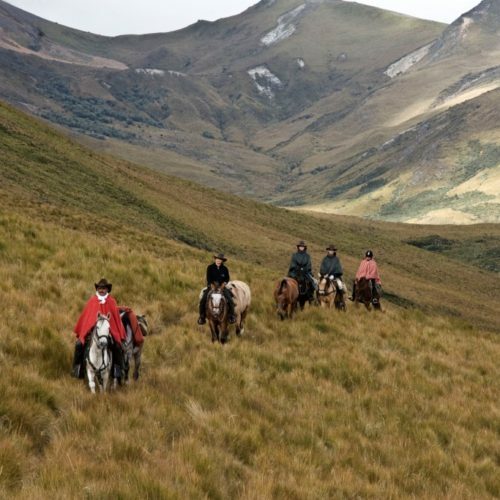 We feature three exciting trail rides in Ecuador, the Colonial Haciendas, Andean Adventure and Volcanoes & Vistas rides. 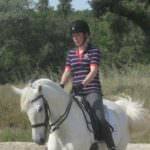 All of these itineraries feature fantastic riding on well-schooled horses, spectacular scenery and a good dose of adventure. But how can you choose between three such great options? Because there is a minimum number of two guests for these rides to go ahead, sometimes your choice will have to come down to which dates are confirmed to run. But if there are multiple dates to choose from, or you are travelling with 1 or 2 other riders, then you’ll have the choice of all three. Like our Colonial Haciendas ride, the Andean Adventure explores the picturesque northern highlands and the open plains of Cotopaxi. What makes this ride different is that you journey further east into a very remote part of Cotopaxi National Park and spend two nights at El Tambo, a mountain inn far off the beaten path in a spectacular location. The accommodation on the Andean Adventure is in a mixture of small haciendas, guesthouses and mountain inns. On some nights you have comfortable rooms with private bathrooms, but on other nights things are much more rustic. Accommodation at El Tambo for example is twin-bedded rooms separated by reed partitions, with shared bathrooms. In terms of lighting, there is a generator but candles are used once this is turned off. The Andean Adventure is designed for riders who like challenging riding and exploring remote places. Riding hours are roughly the same as the Colonial Haciendas and Volcanoes & Vistas rides, but since you ride further into Cotopaxi the terrain can be a little more challenging than on the Colonial Haciendas trip. If you’d like to know more about our trips in Ecuador, you might like to read my Colonial Haciendas ride blog and Galapagos Islands report, from my visit in September 2013.